What is National Book Week? South Africa celebrates National Book Week, which begins in the first week of September every year. In 2018, we celebrate the week from 03-09 September. 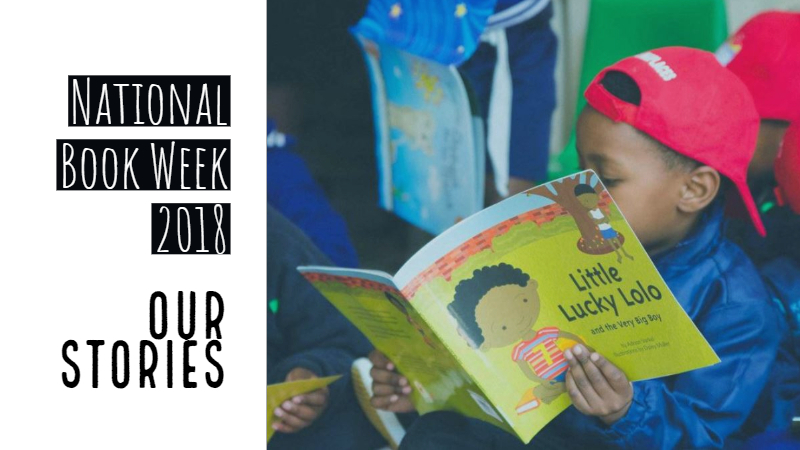 National Book Week (NBW) is South Africa’s largest and most recognised reading promotion campaign. Reading and literacy are at the heart of personal growth, community development, and a thriving nation. The Department of Arts & Culture and the South African Book Development Council (SABDC) will embark on a nationwide tour from 3 to 9 September in all nine provinces. The theme for this year’s event is #OURSTORIES. The theme highlights that storytelling is deeply ingrained in African culture, and that South Africans can – and should – be the authors of their own stories. This is particularly relevant when one considers the fact that 58% of South African households have no leisure reading books. This deficit fuels the widespread problem of grade fours not being able to read for meaning. How can South Africans help? It is with this in mind that National Book Week features the #READABOOK /#BUYABOOK initiative. This tries to encourage reading amongst South Africans and to bring more leisure books into households through an in-store donation platform in bookstores. You can by select titles at Exclusive Books, Bargain Books, Bridge Books, Love Books and Ethnikids for only R20 from 20 August – 09 September 2018. From a press release by Native Worx PR & Communications (South Africa).